It was a beautiful 80 degree day. 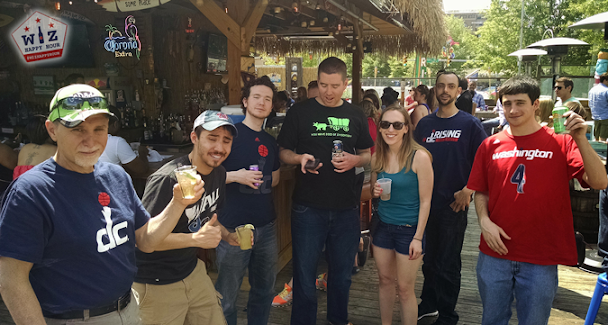 The sun was shining and on top of Whitlows, at the rooftop tiki bar, Wizards fans were gathering. 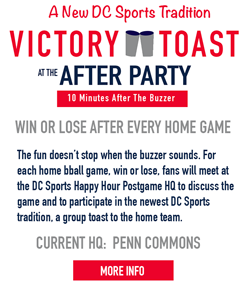 The drinks were flowing and the Wiz game audio was playing as fans were passing around shots and sunblock. As the final buzzer sounded there were high fives all around. 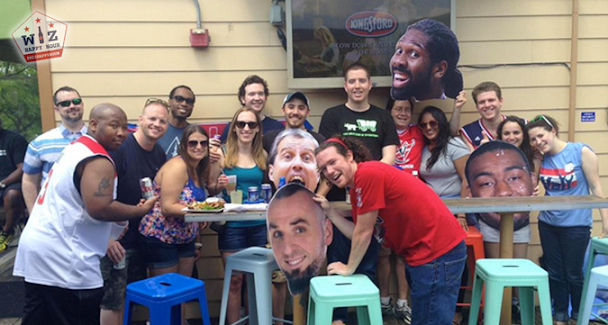 A "Let's Go Wizards" chant bellowed off the roof and down to the hipsters waiting in line for brunch. 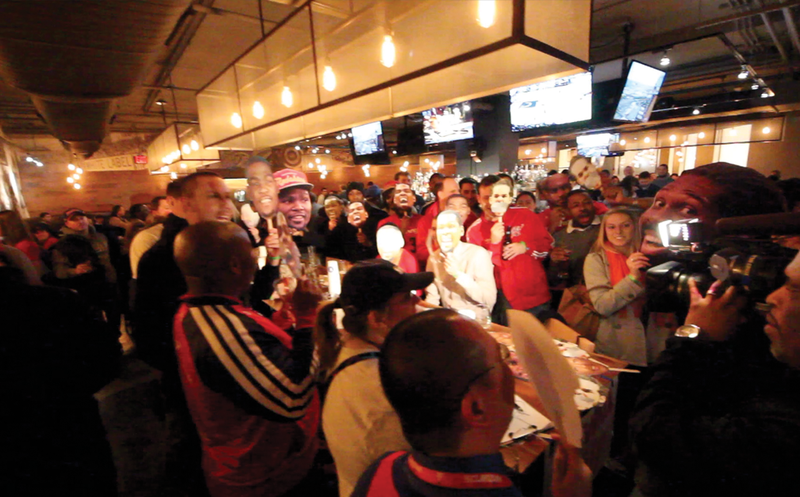 The Wizards had taken game 1 and we had just had one heck of a party (Photos). 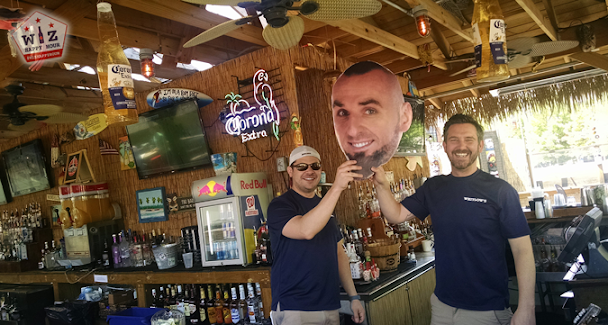 The rooftop tiki bar at Whitlows is the place to be on a beautiful day. You may be in the middle of Arlington but you might think you were at the beach. The combination of sundresses and Wizards jerseys filled out the bar area and by the end of the game there was hardly a spot to stand around the televisions. We had a great turnout and nothing is more fun than watching your team come from behind to fend off the #1 seed with other people who also bleed red white & blue. You haven't lived until you've gotten 25 high fives in a row. What an awesome time at Whitlows! Hope you can join us for the next one!